Our Dynamic Earth, Edinburgh, EH8 8AS on Saturday 10 March 2018, 10 am till 4.30 pm. Transport to the venue will be made available for families who require it and for those who would like to travel with the group. Families are also welcome to travel and attend independently. This year, in order to sustain these trips and in keeping with Better Breaks criteria, a small contribution will be required at £2.50 per head towards admission for everyone attending. The deadline for receipt of completed applications for this outing is Friday 23 February at 5 pm. Places cannot be guaranteed and priority will be given to families who have not participated in any, or who have participated in fewer, previous Better Breaks outings. Transport to the venue will be made available to those families who require it and would like to travel with the group. Families are also welcome to travel and attend independently. This year in order to sustain these trips and in keeping with Better Breaks criteria a small contribution will be required at £5 per head towards admission for everyone attending any of the Macrobert pantomimes. The deadline for receipt of completed applications for this outing is Friday 3 November at 5pm. Places cannot be guaranteed and priority will be given to families who have not participated in, or who have participated in fewer, previous Better Breaks outings. Applications are invited for a Better Breaks Outing for children and young people (up to 20 years) with additional support needs and their families in Falkirk District and Clackmannanshire to visit Glasgow Science Centre on Thursday 17 August 2017, 10 am till 4.30 pm, please provide a packed lunch for your family. Transport to the venue will be made available for families who require it and who would like to travel with the group. Families are also welcome to travel and attend independently. The deadline for receipt of completed applications for this outing is Thursday 3 August at 5 pm. Places cannot be guaranteed and priority will be given to families who have not participated in any, or who have participated in fewer, previous Better Breaks outings. Applications are invited for a Better Breaks Outing for children and young people (up to 20 years) with additional support needs and their families in Falkirk District and Clackmannanshire to visit Almond Valley Heritage Centre, Livingston, on Saturday 17 June 2017, 10 am till 4.30 pm where lunch will be provided. Transport to the venue will be made available for families who require it or for those who would like to travel with a group. Families are also welcome to travel and attend independently. The deadline for receipt of completed applications for this outing is Thursday 8 June at 5 pm. Places cannot be guaranteed and priority will be given to families who have not participated in any, or who have participated in fewer, previous Better Breaks outings. Transport to Dreamnight at the Zoo will be made available to those families who require it or would like to travel with a group, families are also welcome to travel and attend independently. The deadline for receipt of completed applications for the Summer outing is Friday 17th June at 5pm. Places cannot be guaranteed and priority will be given to families who have not participated in, or who have participated in fewer, previous Better Breaks outings. Tickets for Dreamnight have been made available by the Royal Zoological Society of Scotland and, thanks to funding from the Scottish Government’s Short Breaks Fund (Better Breaks programme), we are able to offer transport for a limited number of eligible families. Click on link below to download further information including details of how to request places. As places are limited, priority will be given to eligible families who have participated in no, or fewer, previous Better Breaks outings. Previous grants have been used for short breaks away, pampering session, cinema passes, gym membership and have included requests for more unusual activities such as gold panning! 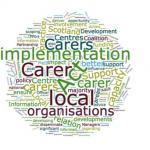 Funding from the Integrated Care Fund in Falkirk has also allowed us to increase the amount available for grants which improve the health and wellbeing of carers of all ages in Falkirk. As funds are limited, carers who have previously received a Creative Breaks grant will only be considered for a second grant if certain priority criteria apply and no more than two awards can be given in total. To request a place, please complete the Better Breaks Application Form available from Rebecca Fowler at the Carers Centre: phone 01324 611510, email to request a form using our contact form or download an application form here: Better Breaks Application Form. The deadline for receipt of completed applications for the summer outing is Monday 20 July 2015 and for the Christmas outing is Friday 4 September 2015.